How did late eighteenth and early nineteenth-century German-speaking visitors to Ireland view the country and its people? What shaped their perceptions? How did they make sense of what they experienced? 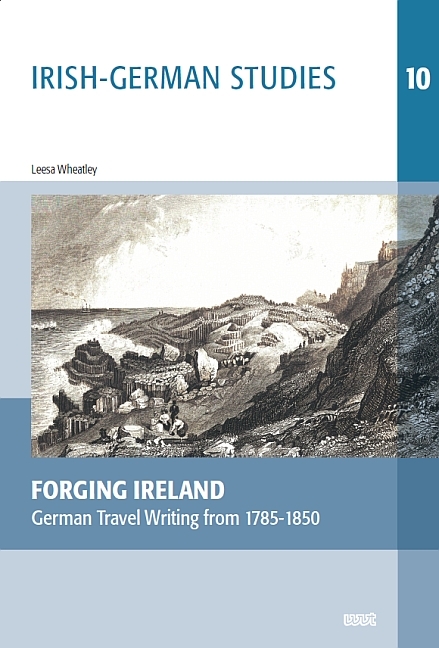 This book considers these questions by investigating the travel narratives of circa thirty German-speaking visitors to Ireland between 1785-1850. The study shows how aesthetic theories of the sublime and the picturesque, the trope of the savage, as well as racial, colonial and national discourses informed observers’ views of Ireland and the Irish. Yet, although authors employed similar conceptual frameworks, tropes and stereotypes, the study outlines how these could be employed in very different ways: authors’ attempts to make sense of Ireland reveal predispositions, (mis)appropriations and specific agendas which both informed and curtailed explainability. In outlining German observers’ construction of the Irish Volk, Volkscharakter and Volksgeist, this study reveals how a number of discourses combined to forge an Irish collective, no matter how disparate that collective might be. With the emergence of the nation state as a means for political organisation around 1800, this book then investigates if a potential Irish nation is ‘imagined’ into being through outside observation.